Creating hygienic zones through physical separation has become an industry standard and is essential to food safety. Other benefits are also realized, such as the ability to keep one line running while another is down for sanitation or changeovers, or to use allergens on adjacent lines with no cross-contamination concerns. Once the plant is physically divided into distinct zones, flow of personnel and materials can be better controlled. Workers, visitors, products, ingredients and packaging material all must be carefully managed as they move from one area to another to avoid cross-contamination. Water is an essential part of products, process and sanitation. But it is also one of the greatest threats to food safety. From the walls to the floors and ceilings, the design must prevent accumulation of water and, in fact, facilitate positive drainage and water removal. As the indisputable worldwide leader in the engineering, fabrication, installation and servicing of refrigeration and mechanical systems, Stellar is uniquely qualified in the control of room temperature and humidity to facilitate control of microbial growth. In addition, our in-house staff of highly trained automation engineers custom design and program controls using nonproprietary hardware and software. Our solutions produce accurate results and ensure precision, both critical to food safety. 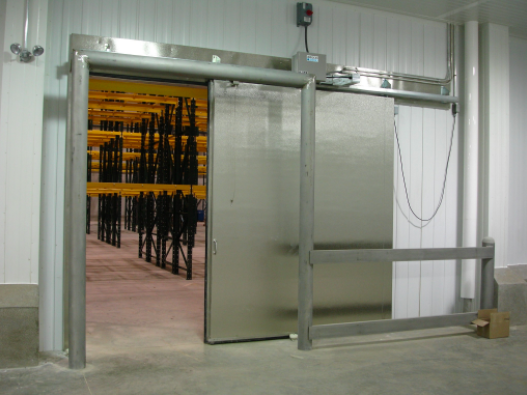 Properly controlling the flow of air through a food-processing plant is vital to food safety. We are vigilant in protecting what is often referred to as the “heartbeat zone” of the plant, where the product first becomes ready to eat. All air that comes into this zone must be high-quality, clean air. In addition, air from raw-product zones must travel in the opposite direction and exit directly from the plant. 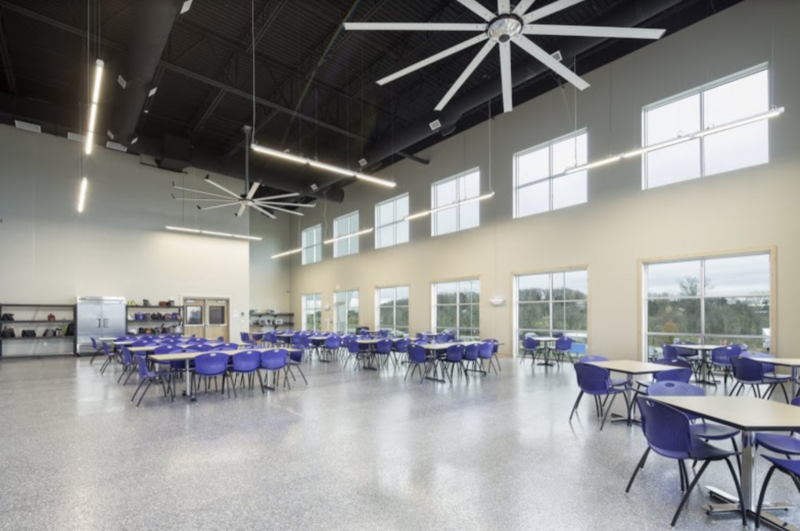 We do this by designing and installing the highest-quality HVAC and refrigeration systems, adequately filtering air, utilizing UV lighting, minimizing condensation, and controlling airflow pressure throughout the facility design, among other strategies. The property line is a processing plant’s first line of defense in food safety. With true, single-source responsibility and accountability, from design through construction, we can better ensure site elements such as site security, personnel safety, vehicle management, site lighting, grading and water-management systems to facilitate safe, secure and sanitary site conditions. With more than 100 in-house thermal specialists, including architects, engineers, construction managers and superintendents, and Stellar-employed field technicians, we are a national leader in the entire range of thermal-construction services. This ensures that we are fully equipped to construct a vapor barrier of uncompromising integrity. We install insulated-panel walls, roofing, doors, floors and ductwork to create an integrated structure for buildings that require temperatures as low as -40˚ Fahrenheit. Our process engineers hail from the world’s leading food companies, with years of specialized experience designing production lines, including specifying equipment; designing CIP, controls and utility-system design; and coordinating specialty contractors and installers. Our process engineers closely collaborate with our building design and construction professionals on each project. This teamwork allows for better communication, design coordination, and higher levels of innovation, both essential to food safety. Our professionals understand how food safety can be affected by floor surfaces, wall finishes and coatings, and design items such as walk-on ceilings. We also know that details such as seal-tight gaskets around wall-penetrating pipes and smooth, cleanable finishes on walls and other surfaces can make the difference in food safety. By properly securing utility systems and specifying materials, finishes and other sanitary design details of the utility system, we can provide easy access for cleaning, inspection and maintenance to prevent collection areas for bacteria. We scrutinize every nook and cranny to ensure the design promotes sanitation in every way possible. This often includes simple things such as the design of clean-room entries into processing plants; skid-mounted equipment; round tubing; minimal flat surfaces; use of the right types of chemicals; and the installation of all sinks, conduit, fixtures and more on stand-offs away from the wall to enable easy access for cleaning. We leave no stone left unturned in ensuring a cleanable facility.